Arguably one of the best features of Bethesda's role-playing games is the amount of control they give you over customizing your character's appearance. This tutorial will help you understand your own personal definition of beauty and what goes into creating good looking characters. It might seem surprising that I spend so much time on theory in this article instead of telling you where to set the sliders, but let's be honest: the sliders aren't the problem; what's preventing you from creating the characters you want is not the sliders or the presets, but a general lack of awareness of what constitutes beauty for you as an individual. 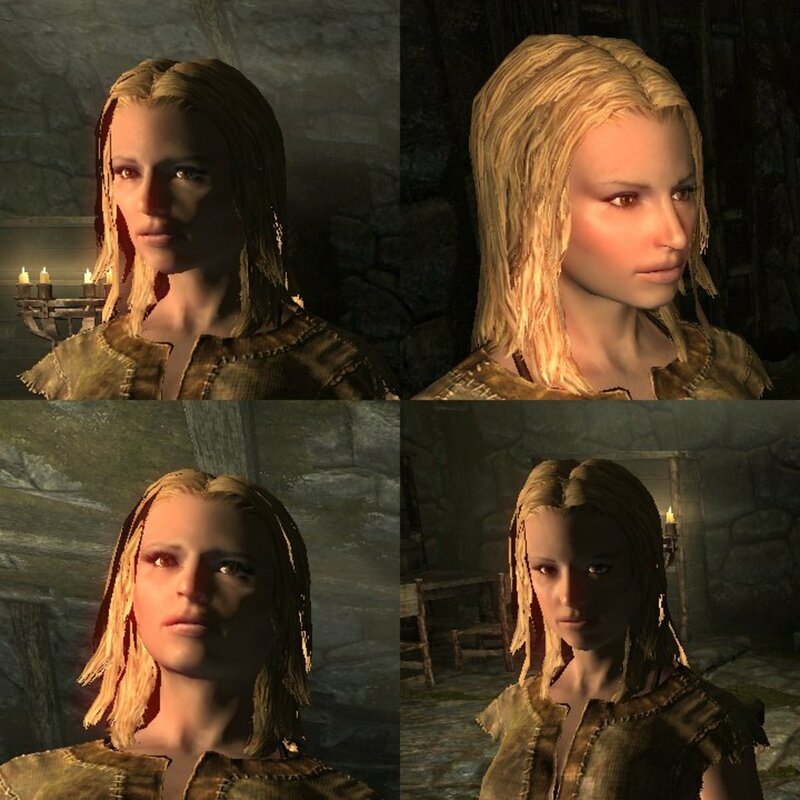 With the right understanding and a bit of practice, you can make any Skyrim character much more attractive. Skyrim's character customization features allow you to create very good looking characters . . . or very ugly ones. If you've already started playing but you want to change how your character looks and you are on PC, you can follow this guide to safely change your character: How to Change Your Appearance and Name. Just don't try changing the race! 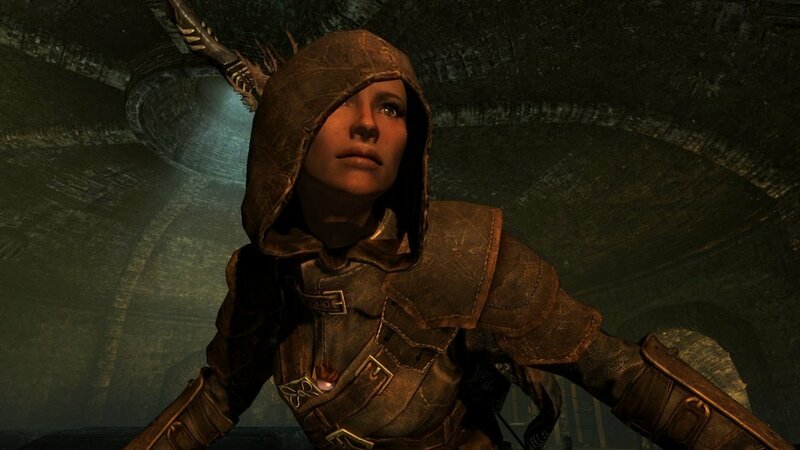 Your character's appearance is an important element in establishing immersion in RPGs. Character customization is not a trivial feature in a role-playing game. In a linear game, where you play a character created by a writer and follow that character's progress through the story as it is related by the game, your identification with the character is handled by the author. A good writer can help you identify with the character through sympathy, well-written dialogue, and commonly shared values. In a role-playing game, where the developers allow you to create your own character and write your own story, the developers can't count on a writer to create your identification with any particular viewpoint. They have given up some (but not all) control over your character. Instead, the player learns to identify with his or avatar, at least in part, by customizing his or her character's appearance. By being able to create the character you envision, you are able to take something from your imagination and place it in the world created by the developers. You participate in that world. This participation creates an instant bond of identification and is a primary means of immersion. If you have trouble creating exactly the kind of character that you want to create, it can cause a loss of immersion. One of the characteristics that many people imagine their characters possessing is great physical beauty. Who doesn't want to be able to play a character who is not only physically or mentally superior to their ordinary selves, but also much better looking? 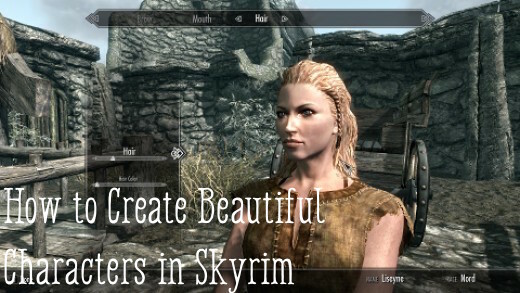 If you have trouble creating beautiful characters in Skyrim, this guide will show you a few things that you can do to increase your ability to model the characters of your dreams. First off, a few tips and tricks. Sliders. For a quick, easy, conventionally beautiful appearance, set all of the sliders controlling the shape and size of a feature to the middle and slide all of the textures to the left. This will give you a well-proportioned character with a good complexion. This can serve as a good template for making changes. You'll still have to pick an appealing nose, eyes, and lips, but leaving all of your sliders in the middle will generally eliminate odd stretching. For some people, this will be enough. This works with all races. 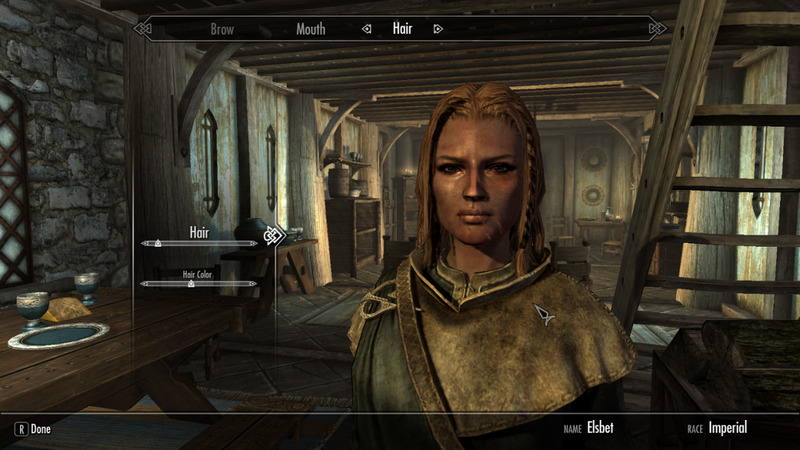 This character uses the Nord 2 preset with sliders pushed to the middle. Start out bald. Get rid of the hair. When you start creating your character, set the hair style to bald or shaved. This will allow you to focus on the features without being distracted by extraneous details. A good looking character will look good with any kind of hair, so don't worry about it before you have to. Start with a clean face. For the same reason, get rid of the war paint, scars, and make-up. Like hair, these elements will just distract you from your primary objective. Leave them until the end. For orcs, de-emphasize their features. Orcs are distinguished by their overemphasized jaws, noses, and brows, so to make them 'more attractive' to humans, you want to tone those features down. For females, you want to offset their masculinity by giving them more delicate features. Most of the time, if you want to make a non-human face more attractive to you, as a human, make the features more human. Orcs and Elves are best handled by minimizing the differences between their given features and human features. Decide on human vs. animal. For beast races, start by deciding whether you want something on the 'human' pole of the spectrum or the 'animal' pole. If you want a more human-looking character, eliminate exaggerated features. If you want a more animal-like character, exaggerate features. Drawing out the nose is usually a good way to make them more animal-like. The beast races (Argonians and Khajiit) are different enough from human faces that I can't really offer any good suggestions beyond that; whether or not a cat-person or lizard-person is 'beautiful' is highly subjective. Some races have features that are difficult to modify. Male High Elves, for example, have pronounced chins and eyebrows. In cases like these, you have to build your character around existing limitations. Don't be too idealistic. Don't try to create that 'ideal face' on your first try. Take some time to get comfortable with the sliders. Don't be afraid of sharp contrast. Don't be afraid to push the sliders to the extreme. Sometimes certain features only become well-defined when contrasted sharply with others. Think about race. Pick a race that provides the kind of presets you want. This really depends on which is more important to you: your race or your appearance. You can create a beautiful character in any race, but if there is a very specific look you are going for, you may want to choose the race that has the closest-matching preset. Nords tend to have very angular jaws, Imperials tend to have squarer jaws, and Bretons tend to have very round features. You can play to or play with racial stereotypes. With this character, I tried to do both: give her both a 'classic' Dark Elf feel and a unique look. Pay attention to little details. At the same time, beautiful faces are more often created in inches than miles. Once you have a general shape that you like, often all it takes to take a face from average to extraordinary is a large number of small tweaks. Go easy on the facial cosmetics. When it comes to war paint and makeup, very often, less is more. Subtle tones tend to provide softer, more natural appearances. That doesn't mean there's never a time or place for bold colors, but they should be reserved for creating striking effects, not used as a way to make your character 'better looking'. Beauty is highly subjective. Don't let pop culture define it for you. My current character is beautiful, scars and all. This might seem like strange advice, but an important place to start is to get to know your personal definition of beauty. Don't assume that you already know what you like. You may know who you think is attractive, but think about why you think they're attractive. Many people are much less consciously aware of what they find attractive than they think they are. Pop culture promotes all sorts of stereotypes about physical beauty. Big eyes and full lips, for example, are often exaggerated in cartoons to denote female beauty. These features are, indeed, attractive on many women for many people; but do the people you find attractive actually possess these characteristics? When I first started studying faces, I was surprised by how often my preconceptions (what I thought I thought was beautiful) failed to match my observations (what actually attracted my interest). As a teenager, I had always assumed that big eyes and full lips were what I found attractive in women, and that, other things being equal, women who possessed these features would be more attractive to me. When I sat down and started comparing features I discovered, much to my surprise, that many of the women I found most attractive possessed neither of these features. In fact, many of them had smaller than average eyes and lips. The point of this personal anecdote: If you don't know what you actually find attractive, you may be customizing your characters to match your preconceptions instead of your desires. This doesn't mean that these features are unattractive--the characters you make following your preconceptions will no doubt still be attractive to you--but they will lack that special quality that you associate with beauty and will fail to live up to your expectations. When photo-sourcing, a great way to find tons of high-quality pictures of faces is to Google actors or actresses. Try Googling "chinese actress" or "brazilian actor," for example, and see what comes up. Studying a wide range of faces will help you refine your understanding of what it means to be beautiful. The first thing you need to do then, is figure out your own personal definition of beauty. Look at pictures. The best way to do this is to find pictures of many different men or women that you find attractive and start taking notes. Try to get pictures that show them looking straight forward, profile views, and three-quarter views. First, pay attention to the frontal view. Study the shape of the head from the front. Is it round, square, rectangular, oval? Is the chin pointed or flat? How wide are their jaws? Does the jaw slope steeply from the chin to the base of the ear, or is it flat and square? Notice how the slope of the jaw from the side view affects the shape of the jaw from the front. A steep, sloping jaw will result in a more triangular appearance for the chin from the front. Notice the cheekbones. What about the cheekbones? Are they high or low? Are they wide or narrow? Are they prominent or subdued? High cheekbones are another one of those cultural stereotypes. They are beautiful on many people, but there are many equally beautiful people who have rather undefined cheeks. Forehead size matters too. Also notice the size of the forehead. The forehead is one of those areas that no one notices unless something looks 'off.' 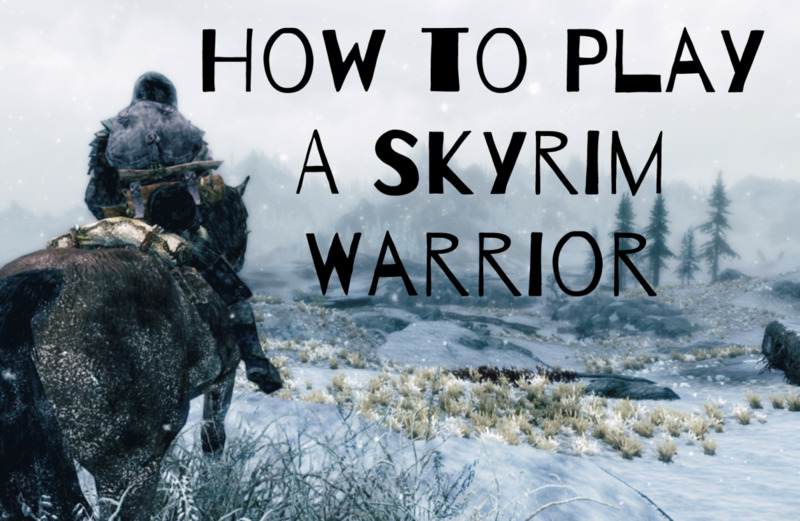 Skyrim doesn't really give you any control over this, but is useful to know about. Eyes. Do the people you find attractive have large or small eyes? Do their eyes slant up or down as they approach the nose? How about as they approach the edge of the face? Are they spaced close together or far apart? Do they sit high, close to the brow, or low? Are they deep-set, or bulging? Nose. What shape of nose is most attractive to you? Is the bridge shallow or deep? Is it straight, curved, or hooked? Is the nose long or short? Does it extend down close to the lips, or is it more petite? Is the tip of the nose rounded or pointy? Are the nostrils broad or narrow? Do they have a tilt? Noses are wonderfully complex shapes and a great source of interest in a face. Unfortunately, they are also very hard to get right. Skyrim doesn't give you a lot of control over specific features (not as much as Oblivion) but it is still good to know what you are looking for so you can find the best match from the available options. Mouth/Lips. Mouths can be just as complex as noses. It's not as simple as just bigger or smaller. Lips come in a wide variety of shapes, so it's a good idea to take a careful look at the shapes that you like. Some lips are long and thin, others short and pouty. Very often, one lip hangs out farther than the other. One may be full while the other thin. Many have graceful curves but many are almost formless. 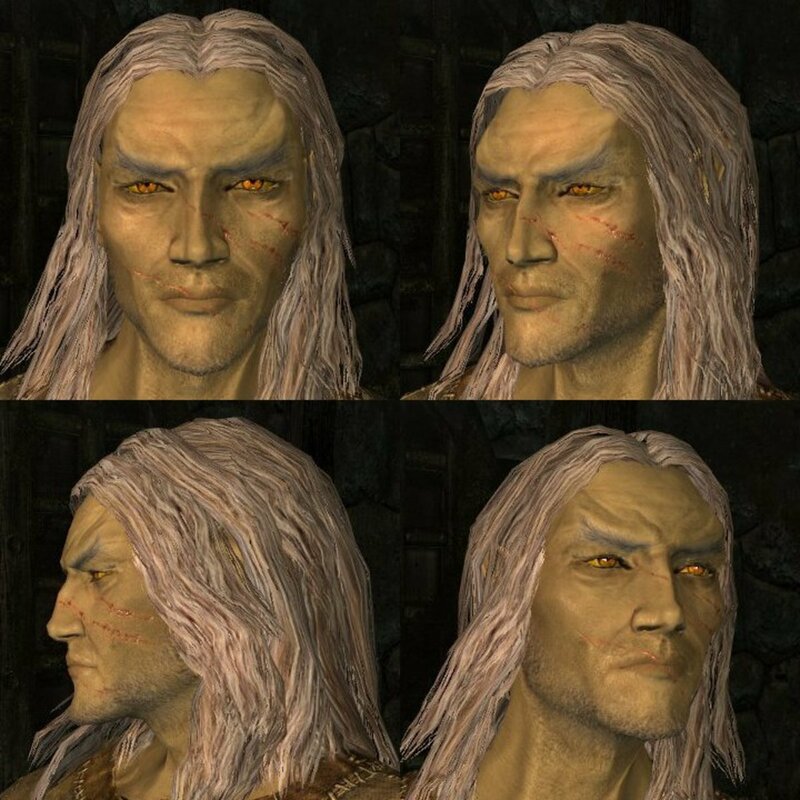 The appearance of the lips in Skyrim is controlled by three sliders: Mouth Shape, Mouth Forward, and Chin Forward, which controls the overbite/underbite. 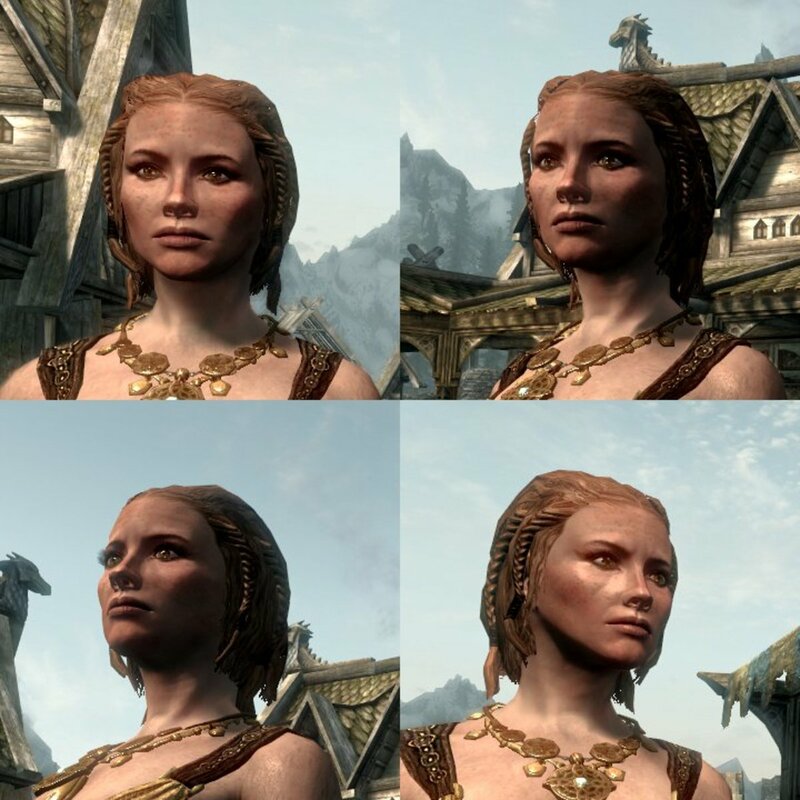 Like the nose, Skyrim doesn't give you a lot of control over the way your character's mouth appears, but understanding the different shapes will help you pick one that works. Studying facial anatomy will help you identify the different features that go into an interesting face. Many of these features are customizable in the character creation screen in-game. The ones that aren't will at least tell you why you can't create a certain look that you're going for. Note how different these profiles are. Studying profiles is a great way to lean how diverse beauty really is. The Nord 2 preset is generally considered one of the best presets in the game. You can see why! This happens because every face is defined not only by the individual features that go into it, but by the balance or harmony that exists between them. If the balance is good, the face 'works' and is attractive to you. If it doesn't, the face fails to be attractive even though it may possess attractive features. That's part of the reason why different people find different people attractive. Fortunately, when creating your character, you only have to worry about pleasing one person: yourself. Tweaking features. If you think about the overall shape of a person's face as the canvas, you will find that you need to make the individual elements that you have selected as attractive work within the confines of this surface. Big eyes and big lips won't work together on a face that is the wrong shape: there simply won't be enough room and the face will look cartoony. The same thing can happen if you choose features that are too small. But combining two very different features, for example, very big eyes with very small lips, can result in equally odd results. Balancing features is a very iterative activity. Every time you adjust something, you'll find that you have to adjust something else to accommodate it. Often, the only difference between an okay face and a beautiful face is a few small tweaks. This character uses navetsea's Female Face Retexture. I find navetsea's works well for wrinkles, but is overkill for Nords (who have no wrinkles to speak of). Too much tweaking, however, can result in something I call 'mannequin face': after hours of tweaking, the face no longer looks human, but like a mask or some sort of creepy doll. When this happens, I sometimes have to start all over again from scratch. A good way to avoid mannequin face is to get to know how the different sliders work and how different features work together before you sit down to create your masterpiece. Again, understand balance. Mannequin face is often a result of failing to understand balance, and how the different sliders interact. If you widen the jaw, it's going to have an impact on how the mouth looks, and probably the eyes as well because it's going to affect the relationship between them. The same thing happens when you adjust the cheekbones. Nothing exists in isolation. Everything is connected. By the same token, because a head mesh is composed of a limited number of polygons, if you stretch one area of the face, it's going to have an impact on another area. In Oblivion, this impact could be quite significant, and it was very easy to create grotesque monstrosities at the push of a slider. In Fallout 3, Bethesda corrected this by creating presets and reducing the number of sliders. The result was less control over the final appearance of your character, but it also made it much, much harder to create an ugly avatar. Skyrim uses basically the same system as Fallout 3. In Skyrim, it is relatively easy to create an attractive character, but you have somewhat less freedom than you had in Oblivion. Nevertheless, since the head meshes use more polys, even without all of the control of Oblivion, most of your characters are going to look better, and look closer to what you imagine. Many of the presets in Skyrim, in fact, are fine just the way they are. But it is always possible to create more attractive characters by learning how to use the sliders. One good way to learn how to use the sliders is to experiment with features you don't typically find attractive. Pick a feature that you wouldn't ordinarily pick and try to make a beautiful face that includes that feature. This takes the focus away from creating some abstract ideal and places it on learning how to balance different features. After doing this a few times, you will probably discover that you can create a beautiful character using any feature. If you really want to test yourself and grow as a face sculptor, I recommend you try the Makeover Challenge: pick the ugliest preset you can find in the game and turn it into something beautiful. 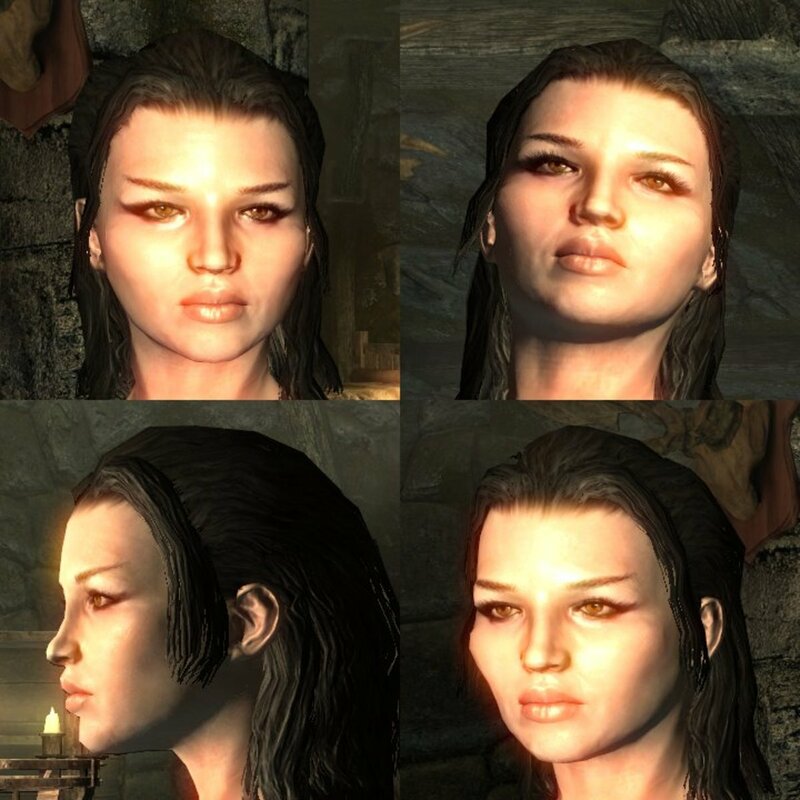 I've done that here with three faces Dark Elf 1 (above), Wood Elf 9 (below), and one of the Orc presets (below). The Wood Elf 9 preset before and after customization. Before and after customizing one of the default Orc presets. No preset prevents you from creating a great-looking character. Engaging in these kinds of experiments will help you refine your skill with the sliders and will teach you about many different kinds of beauty. More importantly, they may lead to some fresh and surprising characters that you would otherwise never have discovered. This face combines diffuse and specular maps from one mod with normal maps from another. If you're playing on PC, you can improve the appearance of your characters in significant ways by downloading mods. Most beautification mods use file replacement to achieve their effects: replacing the diffuse, normal, or specular maps, for example. Some use other techniques, like making all eyes or hair available to every race. Detailed Faces, by Xenius. Increases the resolution of the diffuse maps. High Quality Eyes, by Xenius. Replaces the diffuse maps used for the eyes. Makes a much bigger difference to your character's appearance than you might think. Detailed Lips, by Xenius. Increases the detail in the lips. No More Blocky Faces, by Xenius. Improves the normal map by removing compression artifacts in the original files. Detailed Bodies, by Xenius. Increases the resolution of the body textures. Hands and shoulders, for example, will look much crisper. Beauty Faces for Females, by necKros. Replaces the female face textures. An alternative to Detailed Faces. Less Harsh Elves, by Amanda LaPalme. Removes the wrinkles and bags under the eyes from elves. Better Females, by Bella. Skin replacer. Good if you want your characters to look a little more glamorous. Younger Females, by Chanon. Another skin replacer. Removes most of the lines in the faces without making the skin look too airbrushed. Gives women a softer look. Proporsia, by Zonzai. Proporsia is a character save with proportions set to 'scientific' standards of beauty and includes slides showing the relative proportions of each feature. This can be a useful tool if you want to understand the mathematical mean of beauty. Don't forget that these proportions are based on statistical averages. They don't define beauty, per se. Many very good-looking people vary tremendously from these averages. The characters in the screenshots in this thread use Beauty Faces for Females, Detailed Bodies, Detailed Lips, High Quality Eyes, and No More Blocky Faces. Complementary colors can help give your character's a more 'put together' look. Notice the eyes, lips and war paint. Can you identify this celebrity? Probably not. It doesn't look anything like her. Skyrim sliders can be used to achieve good results, but don't expect miracles. This is the fun part, where you get to play with things like scars, dirt, war paint, hair, and makeup. Use these tools to give your character a personal history, social class, and attitude. And don't forget to give them character! Sometimes the difference between like and love is a small imperfection that gives a person's face individuality and history and makes them memorable. The airbrushed models you see in magazines are certainly beautiful, but they also frequently seem to have the personality of cardboard. For me, the absence of imperfection is the absence of character. Don't be afraid to take your perfect character and add some minor flaw to give them life and make them feel more real. Make the lips a little smaller or the brows a little lower. This small, subtle difference can make the difference between a character you like to look at, and a character you like to spin a tale with. Remember, these details are the best way to capture a character's mood or attitude! Knowing a bit about the different files that go into making a game character can help you identify problems and select appropriate mods to address them. Head mesh: This is the 3d polygon mesh that determines the shape of the head. Different races use different head meshes: humans and Argonians, for example have differently shaped heads, which is what makes their features so strikingly different. Diffuse map/texture: The diffuse map or texture (also known as a color or base map or texture) provides the head mesh with color, like wrapping paper around a box or paint on a sculpture. Normal map: The normal map controls how smooth or bumpy the face appears, and is used to simulate things like wrinkles, bags under the eyes, scars, etc. Normal maps can be identified by their primarily bright blue appearance. Specular map: The specular map controls how shiny the surface of an object appears. Specular maps are important for simulating human skin, which has a wide range of shiny and dull patches across its surface. Specular maps can be identified by their primarily black and white appearance. When you're playing Skyrim, the engine uses all of these different files (along with a few others) to determine how to render your character's appearance. As you can see, character models can be quite complex! By request, another male character! This is my current Skryim character, Loric. I'm using him for a 'vanilla' playthrough with the Stormcloaks and Companions. You can find the slider settings for Loric and other characters on my website. If you really can't get the look you're going for and you're on PC, you can always try downloading a save game created by someone else. The SkyrimNexus has a whole category devoted to it with almost 500 saved games (there will probably be thousands by next year). If you have a specific look you're going for, I might be able to provide some advice, or even take a request. Just shoot me an email or comment below! how to make character with the scars on chin? This was a very interesting read and incredibly detailed. Thank you for writing this! 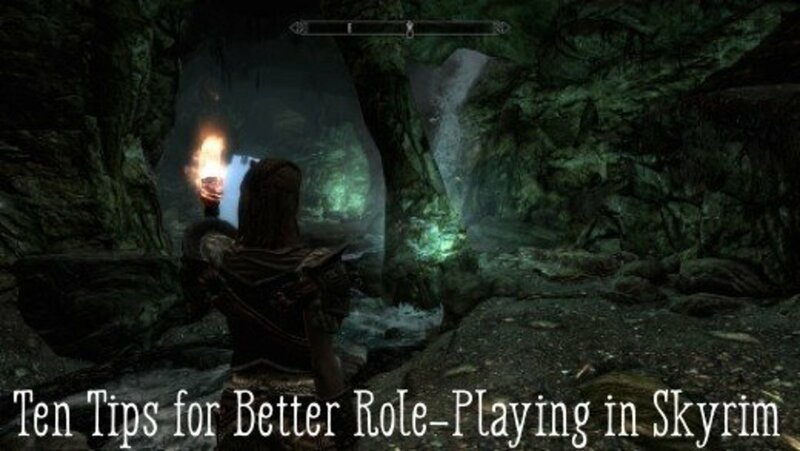 I fussed over this for hours when I started Skyrim. Then actually restarted the game, and considered restarting AGAIN, just because I thought my character was ugly. Mods :p Mods all the way! Avoid the creepy ones though, plenty of those around. And no, Khajit aren't meant to be kawaii. Thanks for this amazing tutorial! It's super detailed and brimming with creativity! Amazing stuff! Wow just wow. This is creativity on a whole new level. The possibilities are endless. I have a request for character sliders, but how do I email it to you? But what if I like the elves look already? I actually prefer a more alien look then the pretty human with pointed ears look. I don't think they added the presents in to make you want to customize them, though I always tweak each character, rather they're just trying to move away from the standard image of elves which has frankly worn itself almost completely out. But if you want the generic elf look, theres at least a dozen mods you can use. The best part of this game is the modability, allowing you to not only customize your character, but the entire game. I just stumbled on your article, and it was eloquent, thoughtful, insightful, and beautifully written (pun intended). I signed up for Hubpages specifically to tell you so. Thanks very much for this — this is philosophically the antidote to the beauty industry, and something that might benefit teenagers to read, to become more aware of what they're absorbing from modern media. Cheers! I'd give you a link, but HubPages is weird about overlinking, so I'll give you directions: go to the top of the article; in the box that says 'Slider Database' follow the link that says "database of slider settings for non-player characters from Skyrim"; that will take you to my site. On the sidebar on the right on my web site, follow the graphic link to the War Baby page. All her settings are on that page; just scroll down and when you get to her picture, click the thumbnails. I could really use the sliders for the girl where it says this on the bottom of her pic Studying a wide range of faces will help you refine your understanding of what it means to be beautiful. im trying to copy the girl where it says this on the bottom of the picture Studying a wide range of faces will help you refine your understanding of what it means to be beautiful. I never really played Skyrim before but it seems like an awesome alternate video game world to be apart of. Extensive information and very useful. Voted up. This is one thing that I have had a struggle with. I think that this is the best game but it's so hard to get a good looking character. 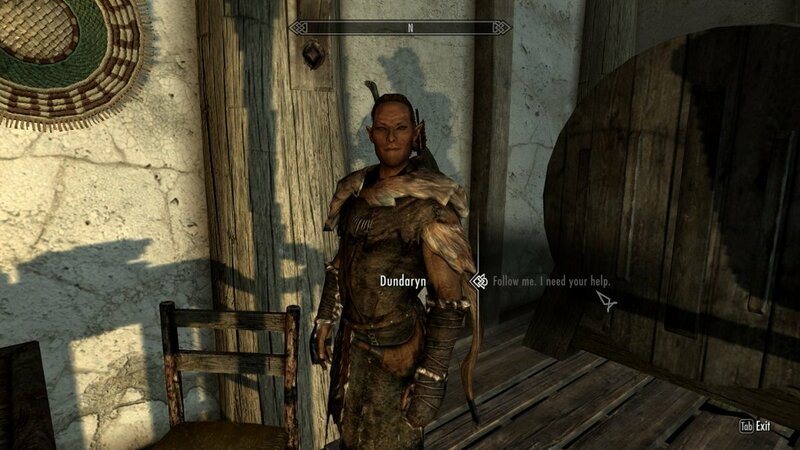 Cool... With Skyrim, I honestly took 2 hours constructing my dark elf. I liked the "get rid of extraneous features - or features that detract from your focus" good plan. Well written, and easy to follow. Well done! AMAZING :) Love this game. I took it upon myself as a challenge to make an attractive Orc female. To my own surprise, I succeeded. Can you please create a really fierce looking khajit perhaps with a black/white mix coat? How do you create a good looking male imperial? I couldn't find Loric slider settings amongst the NPC characters on your website. Hey this is an amazing article, and I am very happy that your thoughts have been shared. 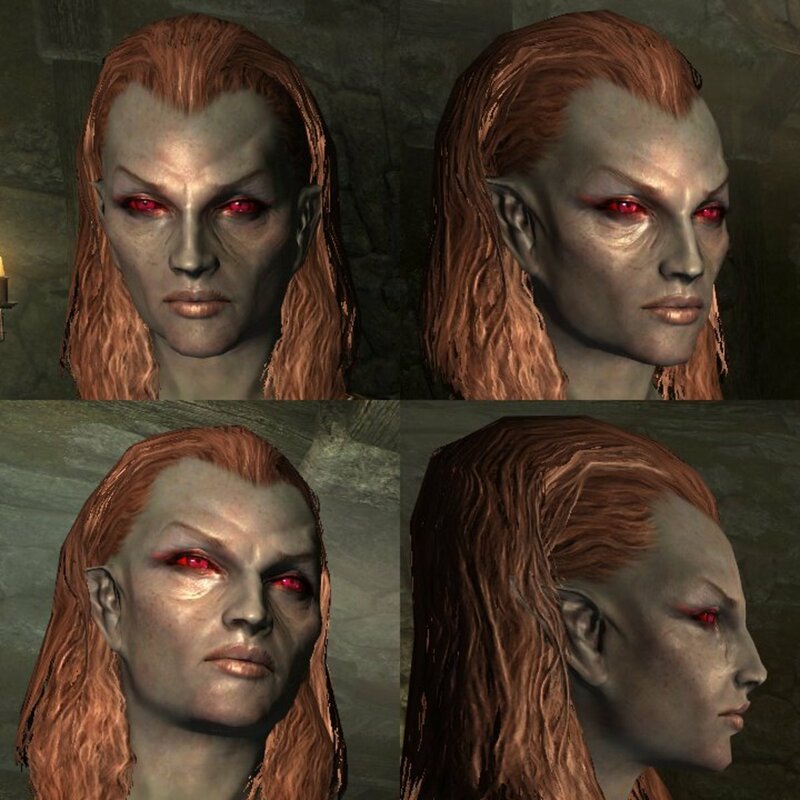 I just made an amazing dark elf chic, and you mentioned adding a backstory to characters, I always start with the story idea and make a character around it. Lately tho I make them kinda out of whim (like the dark elf) and I made a character to look like Sam Byrne from gears of war 3. She turned out pretty good. If you ever feel like making a character look like Sam, that'd be something I'd like to see. All in all I really liked what you had to say, and your mentioning of examining what makes someone attractive to you was great. Really made me look at it differently! Thanks again! 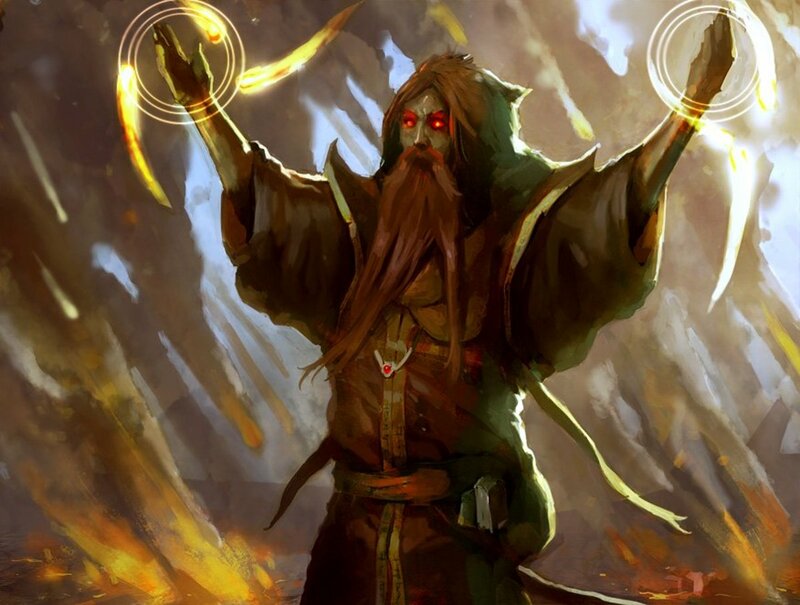 Hey mate, how to create a male High Elf like the one you portrayed here? Excellent article. I'm a serial re-roller, and often spend an hour or more on character creation; it's good to see somebody else putting as much thought into the process! One thing I found helpful to accustom myself with the sliders was trying to create the faces of actual people. Leonidas was my greatest creation, but once I'd done a few I'd really Got to grips with the mechanics behind it all. 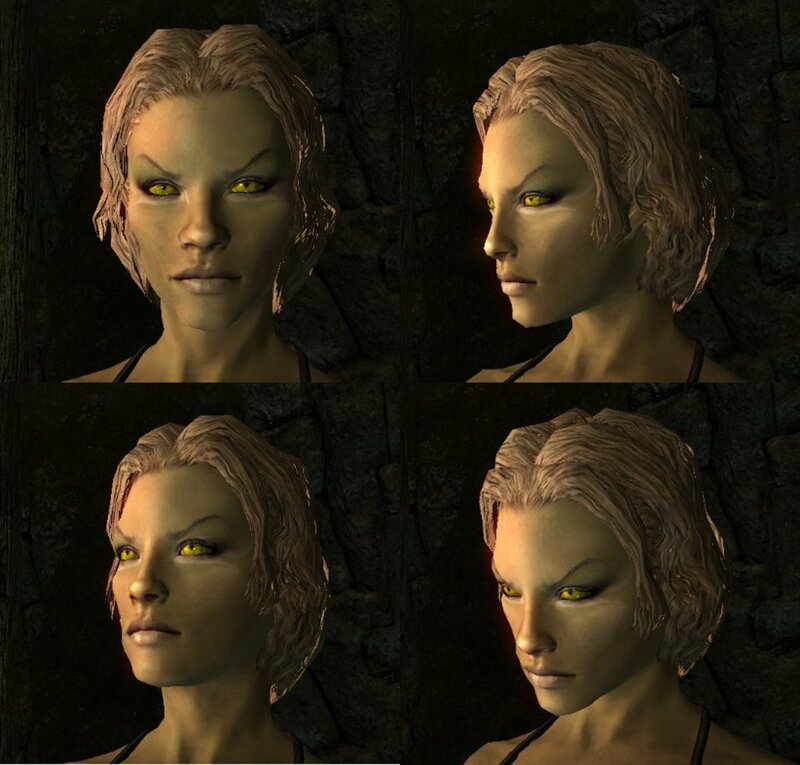 Can you make a female khajiit? This was really really helpful for me, thank you very very much. I can't even tell you how many times I've sat in woe over how bad I am at creating attractive characters in creation, regardless of the game. I realise now that having a path is the best, just to make sure I don't get fed up with how my character is not turning out the way I want them to, attractive or not. I'm going to go through some of your other articles too - you've put a lot of thought into it. Thanks! So many wow's lol, this is a good article and you put a lot of work into it. Good Job~ :b I've found this helpful in more ways than one. @dsfds: Here's a quote from my article, which I assume you read: "When I sat down and started comparing features I discovered, much to my surprise, that many of the women I found most attractive possessed neither of these features. In fact, many of them had smaller than average eyes and lips." Yeah, I'm aware of different standards of beauty. It's one of the main reasons why I wrote the article. The screenshots are meant to illustrate specific concepts and many of the characters are based on vanilla characters where I haven't changed the size of the lips at all. The other characters do not all have 'huge' lips, like the blonde Orc, who has small lips for her race, or have 'huge' lips for a reason, like the High Elf, who was designed to appear soft and feminine specifically because it's a hard look to produce for a High Elf. 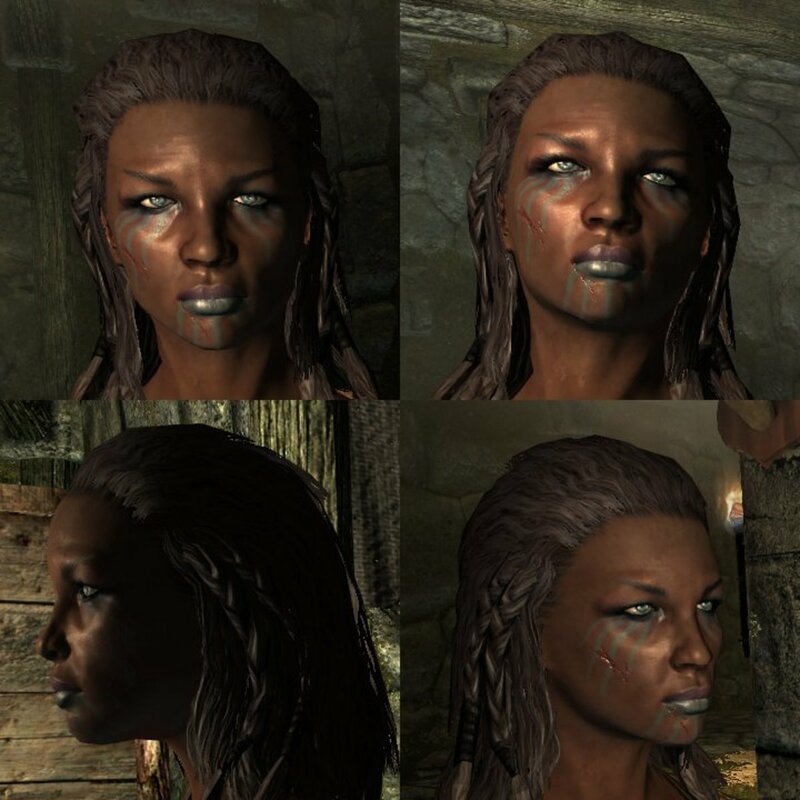 The Redguard has fairly average size lips for her features. 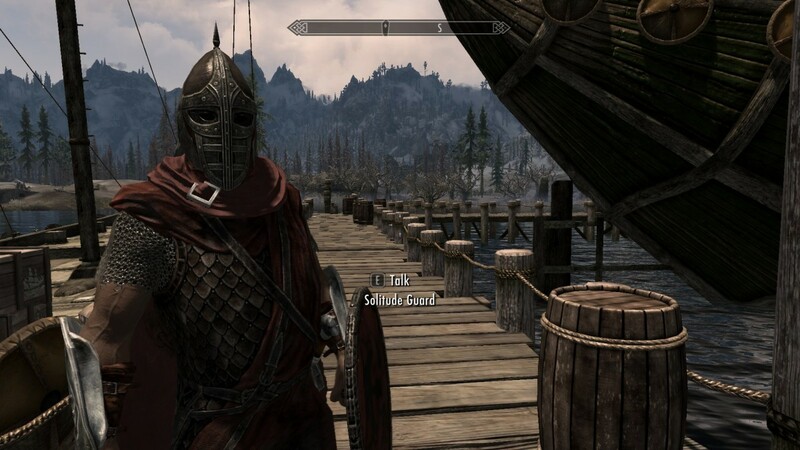 The Nord 2 preset, which appears in a few places, is a stock vanilla head. I just used it as an example because it happens to be the most popular preset. The screenshots are not meant to be representative of 'beauty', which, as the article mentions in several places, is dependent on personal taste; those images just happened to be useful to me. It's good to know that you have a keen eye for this sort of thing. It will serve you well. @TaYLoR x PiRaTeS: Real people are almost impossible to create with the stock assets. You have to be lucky enough to find a real person with features that are almost identical to the handful of features available in the game. It was easier to duplicate real people in Oblivion because you could control the shape of the face much more precisely. It was also much harder to use, which is why they simplified it for Skyrim. Anybody can create an attractive character in Skyrim, but it was actually fairly hard to do with Oblivion. You really had to be a bit of an artist to do it. Nearly (or all) of your women characters that you screenshot have huge lips. You know there is beauty in thinner lips. Holy crap dude. The part where he says try Nd guess this celeberity it kinda looks like Britanny Spears. Doesn't it? @toomuchmint: Knowing is half the battle. Once you understand how faces work and know what you like it's a lot easier to create attractive characters and the frustration levels go way down. Thanks for reading. @skyrimdude: One does not simply make a Boromir tutorial! Some day I may get around to making some of the LOTR characters. If I do, they'll show up on my web site. Once you have slider settings, the tutorial is moot. This article should help people who don't have slider settings, though. Could you make a Boromir tutorial? Also an Aragorn one would be interesting as I had a pretty good attempt at him and would like to see how yours is different. Voted up and interesting! I usually give up on character design or go with a random selection of slider choices. Your tips are a great help in putting thought into the design process without getting incredibly frustrated that things aren't turning out right. Thanks for sharing! @Skyelou: The biggest difference between PC and console is the skin texture, which comes in a higher resolution on PC. This tends to make the characters look a few years younger. There's nothing I can do about that, unfortunately. I don't think I could tell you anything that I haven't already said in this article. Study faces you like so you know what it is you like about them, and then practice recreating those features until you get good at it. There's no secret, really; the problem most people have is that they aren't really conscious of what they actually like, so instead of creating characters they genuinely find attractive, they try to create characters they think they should find attractive. If you're no good at using the sliders, this usually means you overemphasize or underemphasize features: if you're a boy creating a female character, you make the eyes and lips too big and make the jaw and nose too small and make the eyebrows too high or otherwise exaggerate what you think is feminine instead of copying what you actually see in people you find attractive. This happens because you absorb a huge amount of stylized impressions of female faces through the media. It might be that the women you find attractive in real life actually have small eyes or prominent noses or wide jaws, but if you don't study a lot of faces and compare features you might never know that. (Typically, you'll find that you like different combinations of features and have more than one 'type'.) If this describes you, you probably find that your female characters look freakish in some way. You're probably right. If real people had cartoon proportions, they would look freakish in real life. If you're good at using the sliders, on the other hand, but don't know what you really like, you end up with plenty of dull, carbon-copy Barbie and Ken dolls that don't really inspire you but that everyone else finds attractive. You may 'know' what perfect proportions are, but you don't know what you yourself actually find attractive. I doubt it's perfect proportions. I don't really try to create 'perfect' characters because I find perfect features boring. There has to be something unusual about a face to make it interesting. If your characters are too 'perfect', you need to spend some time experimenting with different ratios and proportions. The best way to find interesting compositions is to study the faces you actually find attractive. @Jazzy Quicksilver: Glad you liked the article. Most people think I think too much. Very in-depth and well thought out. What I like best about this article is that it doesn't only pertain to the video game, but also to our perception of beauty in the rest of humanity. Very interesting, keep up the great work! I'll admit, I came into this article thinking this was gonna be shallow as hell. I'll gladly admit I was very wrong. Great article dude. What are the slider settings for the wood elf? A lot of people feel that way, but just as many don't. People put hundreds of hours into this game. You don't need to wear your helmet all the time. :) Plus, some characters don't use a helmet. I played most of the game in a hood. Besides, helmets just improve your AC. It's not like not wearing one is going to kill you, it just makes combat a little harder. Thanks for reading and taking the time to reply. It doesn't matter which preset you start with. The presets are just different slider settings; all of the presets for a race use the same head mesh and textures. For elves, you can make the face look less long by making the chin very short and moving the mouth up a little. Pick a smaller nose and move it up a little to leave room for the mouth. If you move the cheekbones down and make them a little wider, you can make the face look a little rounder. Bring the eyebrows together and move them down a bit (and flatten them) to make the brow more feminine. Of course, the eyebrows depend a lot on the eyes you use. All of these suggestions assume you want a face that is softer and less angular. I am an xbox user and I am trying to make a young looking female wood elf but I want to know what present I should start with and some tips on how to do so, as you said elves are hard to create. @Jeremiah: If memory serves me correctly, the Nord on the left is one of the presets. The Nord under Tips and Tricks uses the Nord 2 preset with each of the shape sliders pushed to the middle, and each of the color sliders set to the far left. I put it up to illustrate the first point. There are tons (over 60) characters on my web site with full sliders you can use for reference. Follow the link under the first sidebar: Slider Database. 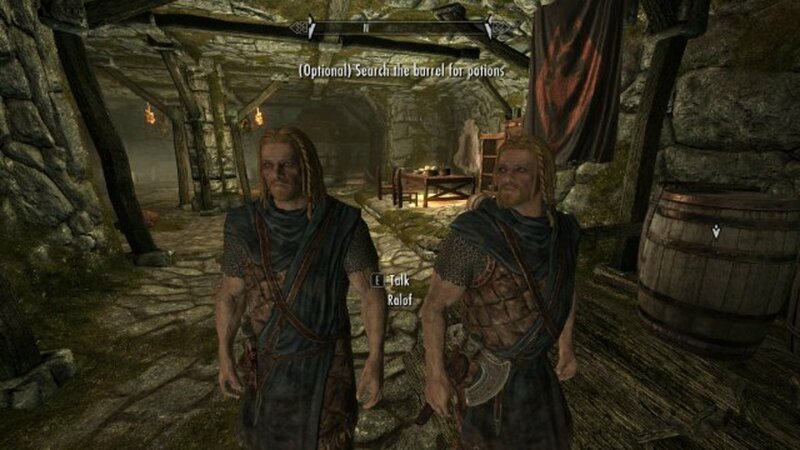 Is the Nord on the left under the heading "Well-Proportioned Faces" totally default without changing any options? Also what are the settings for the first screenshot under heading "Tips and Tricks"? Thanks for all the help and information so far! Hm. I've never made any video tutorials. I'd have to get a mic and figure out what I'm doing. Probably won't happen any time soon as I'm pretty swamped as it is. If you want to send me an email I might be able to help you with some pointers. Just let me know what you're having problems with. I was feeling stupid reading this but my nord is so awesome now ! Thank you so much! ;D I'll go try it now! @Animeplay: The default textures make all characters look like they're in their 30s or 40s with the possible exception of Nords. If you have the PC version, you can dl a skin replacer like the ones mentioned in the Beauty Mods section of the article. Without a replacer, the best you can do is pick bigger eyes, fuller lips, and a smaller nose, shorten the chin, and shorten the jaw height. She won't look like Zelda, she'll look like what Zelda would look like if she grew up in Skyrim. Hi, uh, I'm trying to make my female wood elf look around the age of 16-25 if that's even possible 'xd I'm going for an elf that looks similar to the Zelda from Twilight Princess. Zelda as in Legend of zelda? 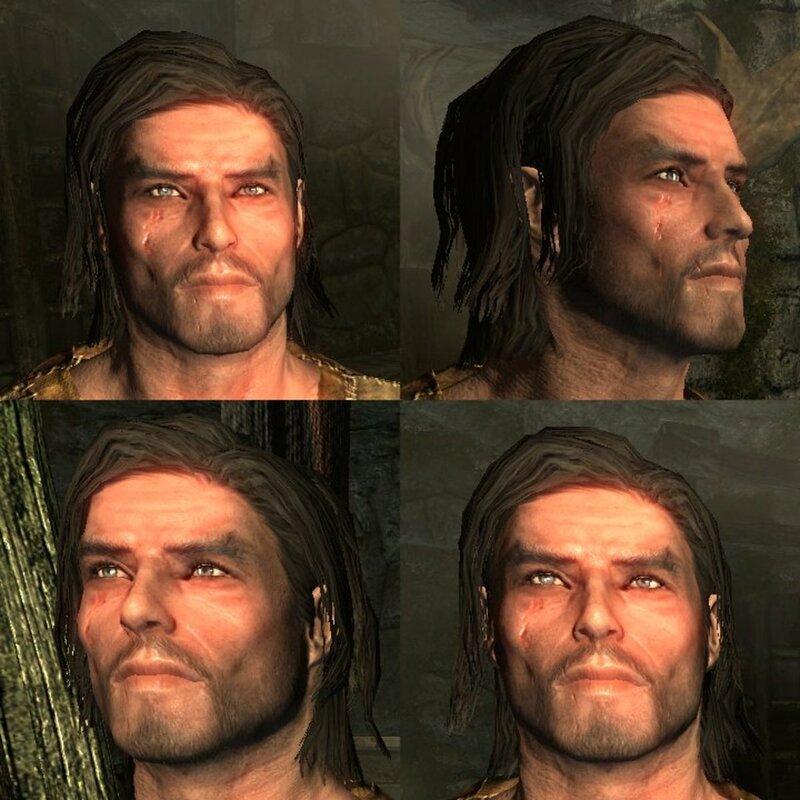 @sonnhy: If you're on PC you can dl younger male skin textures from Skyrim Nexus. (Search: 'younger'.) Short of that, there's not a lot you can do. The youngest looking males still look to be about 30. Older men typically look more 'jowly' (simulated with a higher jaw), larger noses, smaller lips, and heavier brows (resulting in smaller eyes). Giving your character the opposite might help. hey, nice post, how can I make a young (25-30 years) Male Imperial? @Sutami: I haven't really experimented with the male wood elf presets, yet. It isn't easy making 'good-looking' elves in this game, but I have seen a couple so I know it's possible. Keep an eye on the War Dogs page (under Custom Characters). I get a lot of requests, but I'll see what I can do. What kind of look are you going for? @Hydro: My first characters looked pretty terrible in comparison to what I can do now. Even the ones in this tutorial seem kind of shabby now. Just keep working at it; the more you do it, the better you'll get. The female wood elf is on my War Baby page (it's still being revamped). Hi there, really nice work. Do you have any Wood Elf males that you've done? I want to make an attractive one by I can't seem to do it. Thanks in advance. Good work, very good ideas here. Guys, please do not use my name for anything that requires a name. Thanks-Karmin. Very well written. Though I'm happy with my current Skyrim build, I think I'll put some of your ideas into practice on my next run though. Very in depth and helpful. Thanks. @Kensai: Texture replacing mods can do a lot to help eliminate wrinkles, but for the most part how good your character looks depends on how well you understand anatomy. The characters in these screenshots were my early attempts. I think the characters I can make now are even better looking. It's just a matter of understanding how faces work. The biggest restriction in Skyrim has to do with the nose and mouth presets that are available, imo. Some of the characters that I've seen posted online by other players are simply phenomenal. @Senri: I don't think I have that specific set available anymore, though I believe I have a modified one (that I think looks even better). I can dig those up if you want to send me an email. When I first played Skyrim and got to the character creation part I do remember having "Urg! Wha! Gah!" moments when clicking through the character presets... Especially the elven faces. I was really amazed at most of the face pictures in this article. They look much better than I would have thought possible in the game. That's some great content on the different characters and looks you can create on Skyrim. I'm currently slashing my way through Skyrim as Conan The Barbarian, with a mod created on Skyrim Nexus. @gazi & Chris & anyone with requests: I'm happy to talk about requests, just click my name and select the contact link to send me an email with the details. I can't make any promises because the presets don't allow you to duplicate many features with any precision. Can I commission you to make some characters for me? I will provide pictures/profiles. i have tried to make one but im really unskilled, and i play on ps3 so i can't use those mods, any helps would be appreciated! @tiger: Really? I think Skyrim's one of the most beautiful games I've ever played. @TheKraken: Well, there's one: the Orc. "Note: Although I only show female characters in the screenshots, the exact same principles apply to creating attractive male characters. I am a better judge of female beauty than male beauty, and find female faces more interesting to create, so I've stuck with them through most of this tutorial." That's from the blurb at the top. I plan on adding more male examples in the future, though. Why are all the examples women? Thanks, jericho. There's a lot more that could be said about the subject, but it's a start. @John Kolka: Thanks. Writing this was a bear, actually. Took me a lot longer than most of my hubs. @Gofygure: Sometimes I think I put TOO much thought into these things. Thanks. @JGG: That's true. The characters match the rugged terrain. But they can be beautiful as well, like the mountains gleaming in a rosy sunrise. To wax poetic. Thanks for reading. Wow, loads of detail and perfectly written. Beautiful isn't something I'd go with - the environments (like Fallout) can be rugged and ruined at times, and my mucky Nord seems to fit in well. I'm impressed by the amount of thought you put into this. Great job! 7 years ago from Oregon. You took a load of time with this. @nighthag: I was worried it didn't provide enough detail! Thanks.